held at 5 p.m. on Sunday, Feb. 6. Didn’t catch all of these? See what you missed at the special Mother’s Day “Best of Fest” screening. 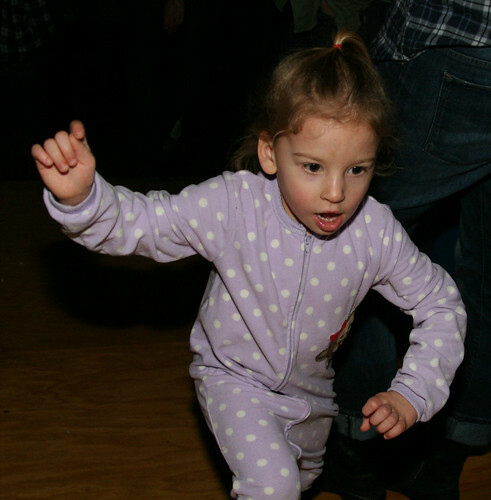 Check out the Children’s Film Festival 2011 opening night pajama party with Caspar Babypants! What a blowout. Our team of interns, including the talented Dave Herberg, have been hard at work helping us prepare for the upcoming festival, happening this year January 28-February 6. Take a look at this lovely new trailer they’ve put together! Calling all future film critics! What better way to hone your critical skills than to serve on the jury for Children’s Film Festival Seattle? The jury will attend screenings throughout the festival and announce prizewinners at the Festival’s closing ceremony. To apply for a spot on the jury, kids ages 8-12 should write a top ten list detailing the qualities of the perfect children’s film, and send it to Elizabeth Shepherd, liz@nwfilmforum.org. Also include name, age, grade, a short bio and complete contact information. Applications must be received by December 31, 2010. Or – enroll in a workshop during the festival! Unleash your imagination with what you find in the back of your sock drawer! In this class, kids will spend the first part making sock puppets. Then, the students will work together to decide upon a story and create a short movie starring their puppets. After the class each participant will receive a DVD of the finished film. Students should bring a few socks to use, which will be cut into and glued on. Also, feel free to bring scraps of fabric, yarn and buttons to adorn the puppets with. Lights! Camera! Action! This two day workshop will allow kids to talk about the issues they care about the most and then make a documentary. Together, the class will come up with questions to ask each other. Then, each student will hold the camera, direct the interview, and become the interviewee when the camera is turned on them. The documentary will be filmed over the course of two days, and an edited version of the film will be screened at NWFF’s Children’s Film Festival Seattle for everyone to see. If you are ready to work with a great team of people and make a film, this workshop is for you! Northwest Film Forum is getting ready to roll out the red carpet for Children’s Film Festival Seattle — the largest international festival of its kind in the Pacific Northwest. This year’s 10-day extravaganza will include more than 100 films from 25 countries — a mind-blowing blend of live performances, animation, features, shorts, historical films and fantastic hands-on workshops, all crafted with care to appeal to the next generation of movie lovers. Some of this year’s highlights will be an opening night kickoff to the festival by the rockin’ kids band, Casper Babypants; an all-you-can-eat pancake breakfast; a program spotlighting the best in animation from China, curated by the acclaimed animator Joe Chang; screenings of the rarely-seen Mary Pickford silent film, “A Little Princess,” with a new live score performed by acclaimed harpist Leslie McMichael; a program celebrating the achievements of indigenous filmmakers worldwide, and more feature films and shorts than ever before! It’s a one-of-a-kind chance to take a celluloid ride around the globe, to see films made by acclaimed filmmakers and up-and-coming new auteurs. Our programs are inspiring, magical and definitely not available on DVD. There are gentle, enchanting programs for tiny first-time movie-goers, chills and thrills for older, more adventurous viewers and films that will inspire young people to get involved and make a difference. What better way to spend a chilly day in January or February than to see the world and feed your mind at Children’s Film Festival Seattle? Submissions are due September 27! 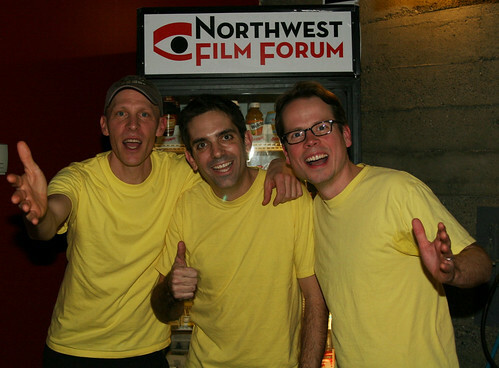 Northwest Film Forum is pleased to announce the call for entries to Children’s Film Festival Seattle 2011. The largest competitive children’s film festival in the Pacific Northwest,Children’s Film Festival Seattle celebrates the best and brightest in international children’s cinema with a 10-day extravaganza of films from more than 25 countries. The festival’s programs that include live performances, animation, features, shorts, historical films and hands-on workshops for the filmmakers of tomorrow. To view past programs, please click here. Children’s Film Festival Seattle 2011 will take place in Northwest Film Forum’s two cinemas, with screenings offered to both the general public and school groups. Dates for the 2011 Festival are Friday, January 28 through Sunday, February 6, with additional screenings for school and childcare groups scheduled Monday-Friday Feb. 7-25. All films submitted to Children’s Film Festival Seattle will also be considered for the 6th annual REDCAT International Children’s Film Festival, to be presented by Roy and Edna Disney CalArts Theater in Los Angeles, California in 2011. The deadline for submissions is September 27, 2010.
preparing compilations of festival programs on DVD and miniDV tapes. Finalcut pro and website management experience needed. Job perks include unlimited free movie screenings at the Film Forum and $5 for every hour worked toward workshops and equipment rentals. The internship is approximately 3 months, beginning mid June through early September. Hours are flexible but are during office hours (10am-6pm, M-F). A commitment of at least 15-20 hours of week is required. best in global cinema for young audiences. Northwest filmmakers who won prizes! 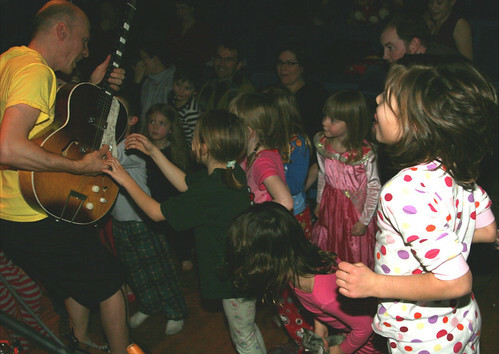 Children’s Fest tickets on sale now! The largest children’s film festival in the Pacific Northwest, Children’s Film Festival Seattle celebrates the best and brightest in international children’s cinema with a 10-day extravaganza of films from more than 25 countries. This year’s edition includes a mind-blowing blend of programs that include live performances, animation, features, shorts, historical films and fantastic hands-on workshops for the filmmakers of tomorrow. Tickets for many programs in the festival sell-out, so avoid the tears and buy yours now! Pancake Breakfast and Short Film Smorgasbord! The Crocodiles, a gang of neighborhood kids, embark on a series of thrilling adventures when they meet Kai, a boy in a wheelchair who wants to join their club. Little do they realize how much Kai will help them learn about life and friendship along the way. 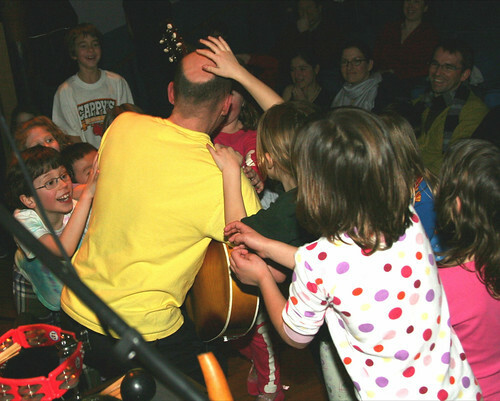 Posted in Uncategorized | Comments Off on Children’s Fest tickets on sale now! “Stalin would’ve killed me.” -Liz Shepherd. Children’s Film Festival Seattle 2010 begins January 22!